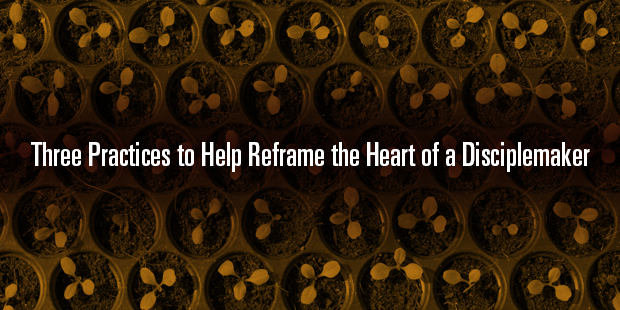 Preparing a sermon or teaching message in a given week without spending time in disciple-making relationships. Spending time meeting with staff and church leaders in a given week in lieu of spending time in personal disciple-making relationships. Designing a worship experience in a given week without a prior design of a clear disciple-making strategy. Managing a weekly money gathering process from people without having a clear disciple-making vision that will be used to steward the money. Recruiting people to volunteer in ministry environments without any knowledge of their involvement in disciple-making relationships. Providing for the care needs of others in the church without a system for care to take place in the context of disciple-making relationships. Creating any content (worship guides, newsletters, social media, curriculum) without a prior definition of disciple-making outcomes. Training any small group or Bible study leaders without a prior training in the church’s disciple-making strategy and outcomes. 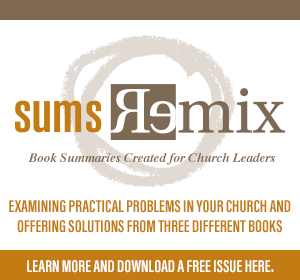 Developing and launching programs that do not fit into a clear and cohesive disciple-making strategy. Putting out fires with or for people who could care less whether they have or you have any disciple-making relationships in life. What would you add? What do you think pastors do that does not make disciples? Help me write the next 10! 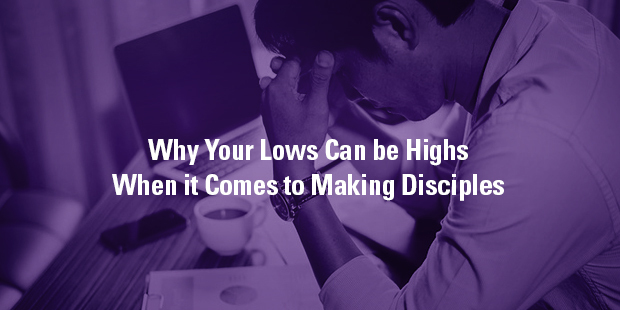 Would you like to learn more about the obstacles to discipleship in your church – and how to avoid them? Connect with an Auxano Navigator and start a conversation with our team. This is a great, thought provoking post. My only addition is this: as I lay leader, I am also responsible for making sure that all my actions are centered in intentional disciple-making activities. If there is no disciple-making involved, I am wasting time and energy - both mine and that of the other members involved in the activities/ministries I am leading. One of the more common roles in a church is discipleship leader. Recently, as I was updating Planting Missional Churches for its next edition, Daniel Im and I listed discipleship coordinator as one of the seven key roles in a new church. In other words, someone holding up the banner of discipleship, helping everyone participate, is key. Yet, the role of discipleship leader in a church can be an extremely difficult one. If it is a staff role, I would argue that discipleship and students are two of the most scrutinized positions on a church staff, which probably explains the short average-tenure for both. Everyone seems to have an opinion on teenagers and spiritual growth. Most church leaders would agree that discipleship should be a priority for the church, but they are unclear on how to best support the team tasked with designing and executing a system for helping make disciples. 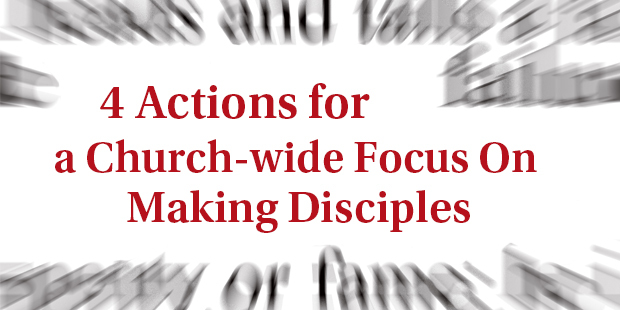 No matter how the church is structured, there are a few things that a church can do to help those discipleship leaders keep a church-wide focus on making disciples. It’s difficult to know what the wins are when there are no clear expectations to start with. This is easier with some ministries than others. For instance, there are measurable benchmarks with most weekend programs: are there more kids attending than last year? Are there more first-time visitors to the services? But, how do you measure the making of disciples? The leadership has to decide what and how to measure discipleship, and then evaluate success based on those measurements. There will always be a measure of subjectivity when it comes to assessing discipleship success, but some objective measures are possible: are there stories of life-change coming from the small groups? Are more people being baptized? 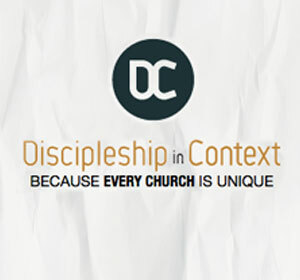 How many people are involved in a discipleship community? One reason why it’s difficult to measure discipleship is because everyone has a different definition of what it is. Studies have revealed a deep chasm between what pastors and parishioners believe successful discipleship looks like. Parishioners tend to think they are being discipled more effectively than their pastors believe they are. A driver for this divide is the difference in opinion on what constitutes spiritual growth. Churches have to outline what a person becoming more like Christ looks like, and then structure everything around helping them get there. The only way for the discipleship vision to continue flowing from the pastor is if there is constant two-way communication with the team and the whole church. They have to hear firsthand the direction that God is giving the senior leader for the next season of the church so the systems can be adjusted to support the vision. Discipleship must be at the forefront always. If you are a pastor and have a discipleship pastor, invite the discipleship pastor to sermon planning meetings. Give the small groups team a voice in the calendaring process for major initiatives. An open door of communication will help build ownership throughout the staff, and maintain unity on the team with regard to disciple making. 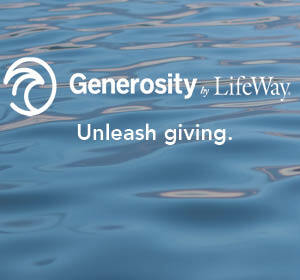 In an established church the church budget brings clarity to the church’s priorities. If it’s “all about the weekend,” a majority of the funds are automatically designated for ministries that make the weekend services more attractive (i.e., a more effective kids program; a better sound and lighting system; more attractive signage, etc.). There is nothing wrong with making the weekend experience better, but we cannot assume that discipleship will happen on its own. If the church is dedicated to making disciples who make disciples, the budget has to reflect that priority. 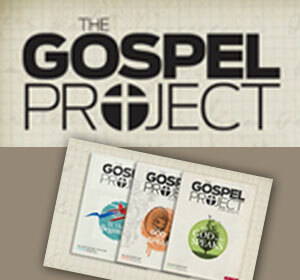 Probably, a chunk of a budget for discipleship teams is providing curriculum for small groups. The content provided for groups matters. A lot. Without a biblically solid study for foundation, a small group can quickly turn into a social club. In some cases, people prepare to write their own studies to fit the need of their context, yet that takes a lot of work. It’s a tool that can help you be a better steward of time and resources. For example, with smallgroup.com, a pastor can give any or all of their leaders access to a library of Bible studies, including video-enhanced studies. Each study comes with a customizable discussion guide. Whether you are writing your own studies to go along with the weekend sermon, or allowing your groups to choose, smallgroup.com is one of those tools that can get you to a discipleship goal. And, you can sign up for a free trial if you want to check out the concept. With clear expectations, communication, and the right tools; your discipleship team will be set up for success. 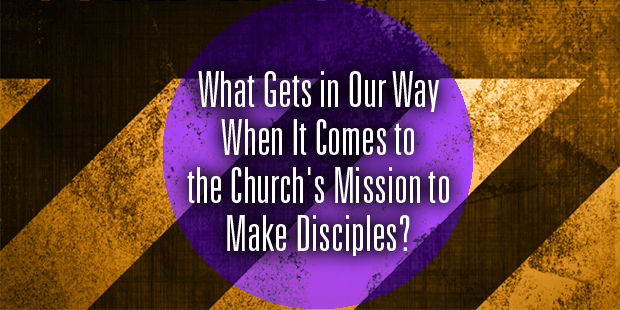 Want to learn more about discipleship strategies for your church? Connect with an Auxano Navigator and start a conversation with our team.